Breast Augmentation: How Big Should You Go? 9th June 2017 | filed under Breast Augmentation. The decision to have breast augmentation surgery may be fairly easy, but then comes the question: how big should you go? Finding the right size can be a challenging decision, and while your doctor will always help you with this choice, it is also important that you research information as well, as this can help make the decision a lot easier. At the end of the day, implant size is not just about personal preference, as other factors come into play as well. The broadness of your chest, your breast’s base width and the distance between your breasts can all influence the implant size. Your skin’s looseness is also important because you need to have the necessary tissue to cover the breast implant. If you don’t, some sizes might be too big to fit you. In addition, larger implants are heavier, so leaner-built women might find it more difficult to cope with the weight and even suffer from back pain. Women with smaller frames, then, might want to choose a smaller size that will suit them best. What Are the Implant Features? Breast implants are typically silicone or saline (salt water), but there are no one-size-fits-all, as they come in different sizes. Silicone tends to feel more like natural breasts; however, they require MRI exams a couple of years after surgery and then every year after that to check for leaks. Saline breasts make it easier to find leaks, but they don’t feel as natural as silicone. Implants are usually available from 100 to 1000 cubic centimetres, with the most common ones ranging from 300 to 400cc. They also vary in regard to diameter and height, which makes finding the right one an even tougher decision. While you may not think that age is an important factor when it comes to choosing the right implant, the truth is that it’s a deciding factor, especially in terms of the size you want. After all, breasts go through a lot during a lifetime, as pregnancy can make them grow and shrink back and skin becomes less elastic over time. This translates into more looseness and even a reduction in tissue, which can complicate the decision. 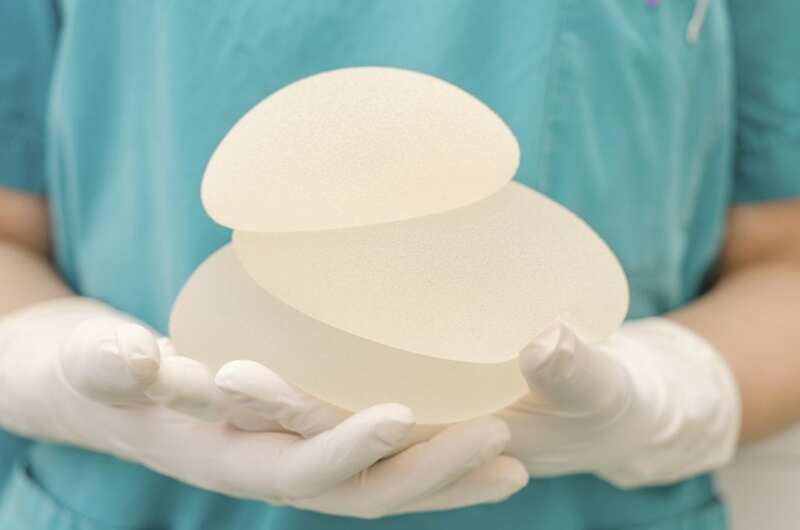 Our implants are silicone prosthesis filled with saline or silicone, as either a soft fluid or a cohesive jelly. The cohesive choices are typically preferred by patients because they offer a more natural teardrop shape look. They are also easily removed and have a lifetime rupture guarantee. When it comes to the method we use, we can offer the Adams or the Abba. We make a small incision underneath the crease of the breast and make a pocket amid the muscular tissue so that the implant is well integrated with the natural breast. We understand that breast enlargement surgery is a complex decision, as there are so many factors involved, which is why we are with you every step of the way! We can help you with the initial choice and will ensure that you receive the best implant for you and your body, so get in touch to start making a decision today.